As the markets bounced around a bit this fall, you may have received an emotional call from an avowedly aggressive investor demanding to get out of the market or from a supposedly conservative investor demanding moves to compensate for losses after a rally. You may wonder, "Did I misread this client's attitude toward risk?" Probably not. After all, there's more to investor behavior than risk tolerance, including certain behavioral biases that can influence an investor's view of the current environment. Let's take a look at some tactics that can help you assess whether you're dealing with an issue of risk tolerance or risk perception—and what you can do about it. 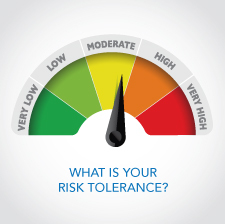 Risk tolerance can be defined as an investor's appetite or comfort with volatility, an innate personality trait that remains fundamentally static over time. But if it's so static, why does it seem that some clients' risk tolerance collapses when markets get volatile (as we saw recently)? While it’s possible that the client or advisor originally misjudged the client's risk tolerance, it’s more likely a case of increased risk perception. As you can see in this YouTube video, part of the Mind Over Money series Commonwealth created for investors a few years ago, risk perception is our momentary, emotional sense of how much danger we’re facing. Imagine taking your eyes off the road for a second to change the radio station. You look back up, see a tree, and suddenly must swerve to avoid a collision. For most, you’ll drive very carefully for the next few minutes . . . because your perception of risk just skyrocketed. In a matter of seconds, we can become fearful when, ordinarily, we are perfectly calm and balanced. Similarly, when the market drops or there is increased volatility, it’s perfectly natural to perceive the short-term risk to be a much greater long-term hazard than it actually is. Sharing this video with clients and reassuring them that their reactions are totally normal is sometimes all it takes to assuage panicked clients. Clients often view investment risk solely as the possibility of their accounts dropping in value. To truly help clients achieve their goals, it’s important to educate them on the various types of risk. For example, on a basic level, share the impact of inflation risk by running your clients' financial projections with 0-percent investment growth (as if they put it in cash today) and 3-percent inflation. The risk of sitting in cash or other “safe” investments may mean that the client’s child will have to borrow for college, the client will have to accept a reduced standard of living in retirement, or the client will need to drastically delay retiring. Of course, there are many types of risk you could choose to educate the client on: health care, longevity, long-term care expenses, and others. It may be best, however, to start with the basics and ensure that the client understands inflation risk. If educating on risk perception and types of risk isn’t sufficient, you could try an identity play. Psychologists have found that people want to live up to the identities they see themselves as having. You can explain that people are either savers or investors. Savers accumulate money but aren’t willing to risk what they’ve built up. Investors use their money to try to create more money. If savers enter the market, they often pull out when prices drop. Investors put more in when the prices drop. For clients who self-identify as savers, it’s generally best to keep their investments relatively conservative and set proper expectations for their need to accumulate more to meet their goals. If they identify as investors, remind them of this the next time they call about volatility. Beware of basing your approach to individual clients on what the studies have to say. Studies make generalizations, often based on small sample sizes, and they often draw conclusions that go beyond what the data can confidently predict. As an example, studies show that men are more risk tolerant than women, but each of us has met men with low risk tolerance and women with high risk tolerance. Further, there is more recent evidence that this general notion may be more of a reflection of men, on average, receiving more financial education and preparation from their parents than women. Learning about biases arms you with tools to help each client where they are . . . but be careful not to apply them where they don’t exist. When in doubt, just check in with the client! One interesting study indicates that clients are better able than their advisors to gauge their own risk tolerance. Ask your clients for their self-assessment, and have them explain what it means to them. Listen carefully, and get confirmation by repeating back what you think you understood. Remember, however, that although clients may be a good judge of their own risk tolerance, they may not recognize risk or understand its impact. You will need to determine if they have the financial capacity to take on risk. Will their risk tolerance or personality hinder attainment of their goal? Can their natural tendencies be moderated through investment education? If we're in for future bumps in the markets, as Commonwealth CIO Brad McMillan tends to think, be sure that you know how to identify when your clients' behavior is a function of risk tolerance or risk perception and incorporate some of the above tactics to help keep them on the long-term path to their financial goals. Do you have your clients complete a financial risk profile questionnaire? How do you use it to guide your investment strategy? I'd love to hear your thoughts!